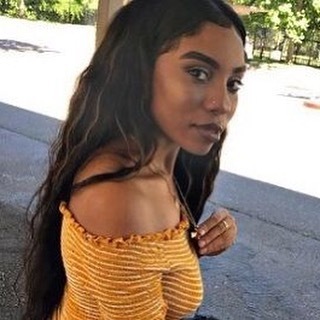 Nia Wilson, 18, was murdered on a train platform in Oakland, California July 22 by a white male stranger with a knife. I was partway into a post about continuing to be amazed by the sheer volume of trivial calls to police because people of color are just existing and doing the things we all do: shop, mow the lawn, play in the sprinkler, park our cars, etc. I can't help but feel like there should be a big penalty for calling 911 about nonsense (and there probably is, so what we actually need is enforcement). when I heard the shocking news that a black high school girl had been killed on a BART train platform in Oakland by a white man slitting her throat. Nia Wilson was pronounced dead at the scene while her assailant John Cowell fled after also stabbing her sister Latifah. He was arrested in the most peaceful way possible on another BART platform later that day, enjoying the white privilege that even murderers can count on. Latifah said the man never spoke to either sister, and security camera footage showed he rode the same train car with them and got off at the same stop, attacking quickly and without warning. Cowell has a record of violence, was released from prison in May, and no motive other than racial hatred has been suggested for the murder. Here's where the second civil war kicks in: Wilson's family and friends were holding a vigil to mourn her on Tuesday in Oakland when a white man in a red MAGA hat showed up to disrupt the vigil. He was beaten by the crowd. Was he a provocateur as many have suggested? Several comments chided the videographers saying they were providing police with information that would be used to brutalize black people. For context, Oakland was the site earlier in the season of a white person weaponizing police call to 911, the infamous BBQ Becky, who tried to get police to stop black people from using charcoal briquettes to cook food at Lake Merritt park. The last thing I'm going to say today is: go see the film Sorry To Bother You, which is set in Oakland and critiques vulture capitalism and racism from several black points of view. I'll leave you with national journalist Shaun King's words today on Nia's vicious murder and what it says about the horrible mess we (yes, white people, talking to you) have gotten ourselves into.